The Modern Way to Improve Your Relationship | Valet. Want to improve your relationship and become closer to your significant other? It could be as easy as crashing on the couch, according to the latest research. According to a recent study, published in the Journal of Social and Personal Relationships, watching the same television shows, scheduling regular movie nights or even reading the same book can make couples feel like part of the same social world. The researchers found that sharing a social network of friends and family members with a romantic partner uniquely enhances the quality of your relationship. Of course, not everyone's circle of friends can overlap. And when that happens the researchers discovered that couples who geek out on shows and movies together tend to feel closer and more confident in their relationships. Those who were invested in the same media also reported a stronger connection—and not simply because of the added cuddling time on the couch. The study analyzed the couples' shared media interests separately from the amount of time they spent together physically, and the benefits transcended. "Streaming Mad Men or reading the same book series can make partners feel closer together and more committed to their relationships," says lead study author Sarah Gomillion, a psychologist at the University of Texas at Austin. "Sharing an identity as a couple enhances closeness and commitment and can make relationships last longer." So there you have it. Who needs therapy when there's HBO Go? 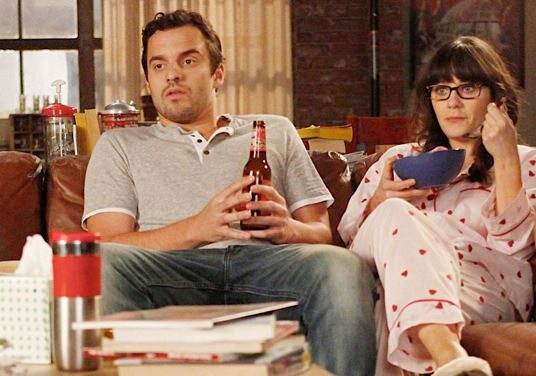 The average Netflix subscriber spent 568 hours streaming programming in 2015. That's 1 hour, 33 minutes per day of viewing. What to add to your list (and what to catch before it's pulled).